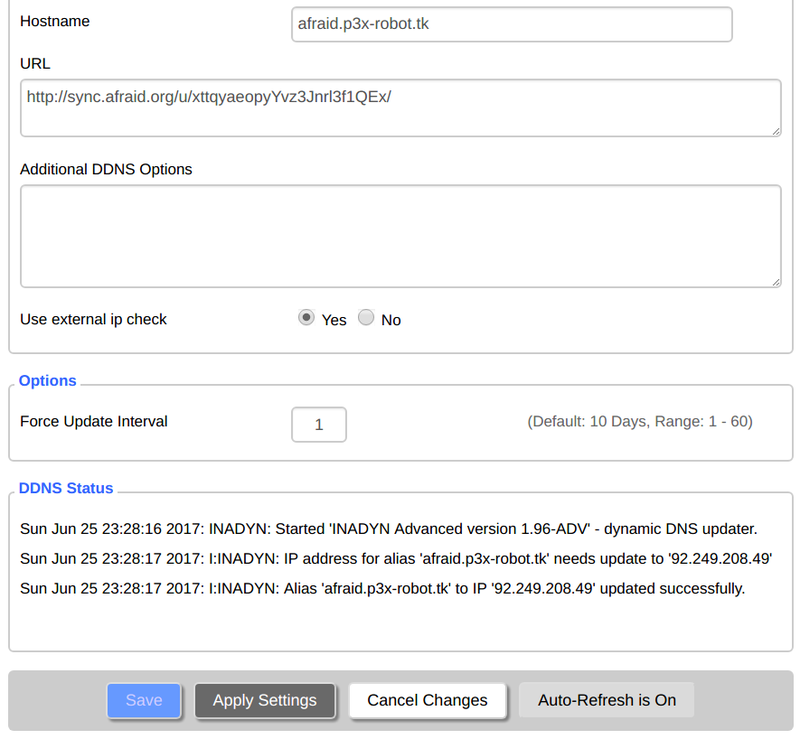 Automatic Dynamic DNS V2 via your router! 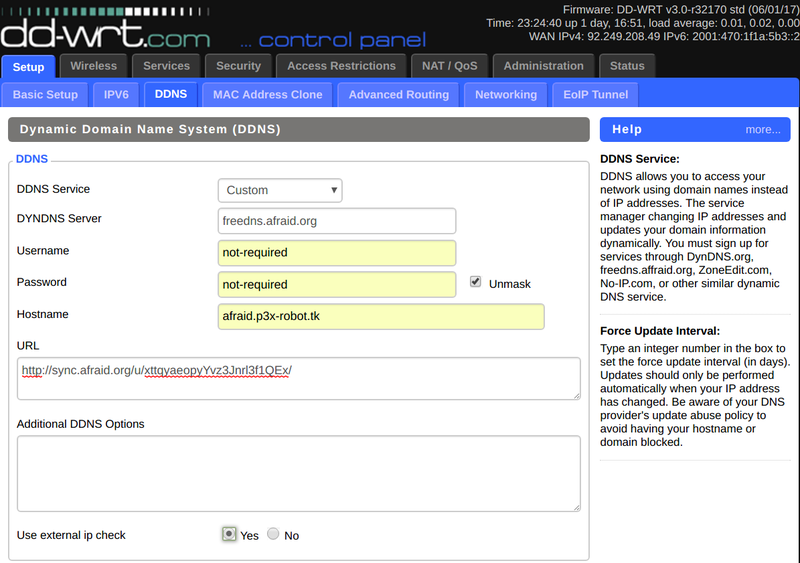 Today, almost the most basic router includes a dynamic DNS function. This guide is to help you to use your own dynamic domain name. 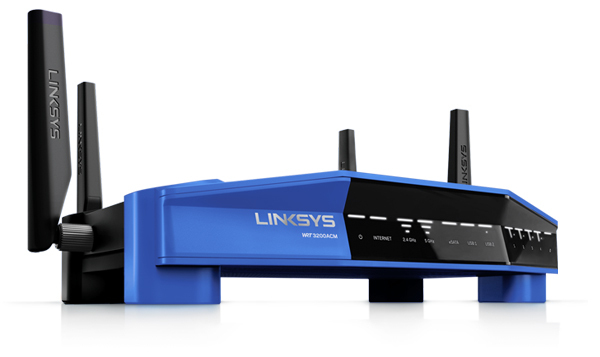 For now, we are using the DD-WRT firmware using the Linksys WRT1900ACS router as an example, but the logic is the same. Should you need an older version, please try http://dd-wrt.com. It is easy to find your own router, given it is a WRT router. Of course, there are different firmwares, built-in, OpenWrt or even LEDE to name a few, but DD-WRT seems to be the easiest. 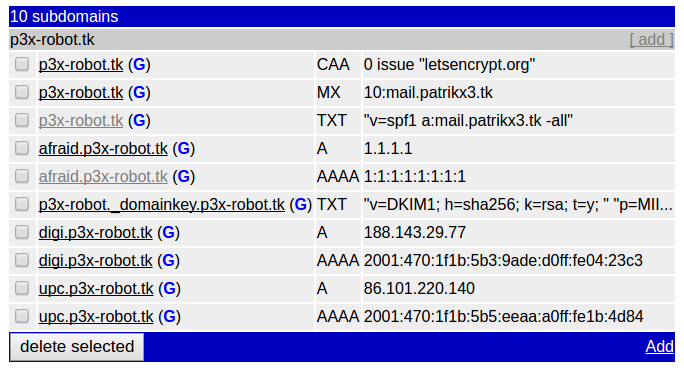 For the example, I am using the afraid.p3x-robot.tk domain and will dynamically update the IPs. Note: In my example I am using both IPv4 and IPv6 as well (dual stacked). The A DNS record is IPv4 set to 1.1.1.1 above, and the AAAA DNS record is set to 1:1:1:1:1:1:1:1, the IPv6 address. Repeating this process will generate new update keys for them. Optional Tip: Are you wanting to point many/multiple DNS entries to the same destination, automatically? If so, you can update more then one record with a single update key! To do this, click the middle checkbox to use that update key as a "clone master", and then check the records on the left most box to replicate the selected "clone master" to multiple records, then click activate/apply at the bottom. , wait for a bit and you will see above: updated successfully. Note the v6 is a native IPv6-only listener operated by freedns.afraid.org, this forces dual-stacked v4/v6 clients to communicate over v6. Not every router understands IPv6 out of the box, IPv6 get their own IPv6 address (because every hardware in the world gets a unique address), so DDNS is not really needed, but with some ISPs, you still get a dynamic IPv6 address. This is tricky though, you will need to use IPTABLES or something else, but it can be done, you can use the IPv6 URL given to you. Right now, even DDNS does not support IPv6 out of the box. It needs a few scripts.